I can't handle pickles in general, but only when it's pickled for a very short time (before it starts fermentation and becomes sour), I sometimes like it. 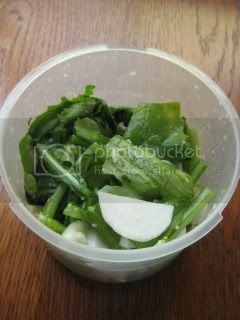 We call lightly-pickled stuff "asazuke" in Japanese. I actually had a quite nice "asazuke" turnip (kabu) in the airplane coming back from Tokyo. It was simply pickled in salt, but I wanted to make it with my homemade shio-koji. I just needed one turnip with the green to start with. The bulb was peeled and sliced, and the green part was cut into about 2" length. They were lightly tossed in about 1/2T of shio-koji by hand in a container and rested with a light pressure in a fridge overnight. 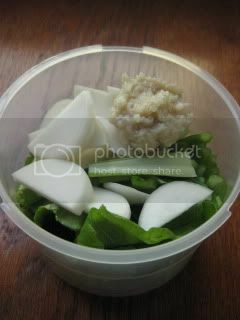 To serve, just drain the excess moisture and plate the pickled turnip with the green. It was fresh with nice crunchy texture. And the light (natural) sweetness and saltiness from shio-koji gave such a nice flavor. 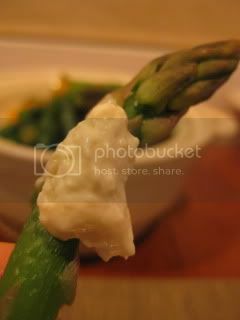 By the way, also with shio-koji, I "invented" an amazing dipping paste! It's laughably simple. I just mixed together some leftover cream cheese with my homemade shio-koji and amazake. The ratio is about 4:2:1. 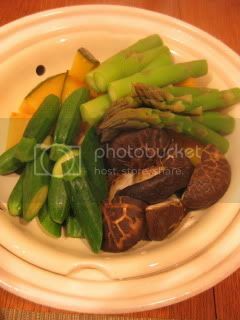 With donabe steamer, "Mushi Nabe", I made simple steamed vegetables and just served with this creamy shio-koji dip. Wooooow, it was crazy delicious! It's also nice with fresh fruits like sliced apple. I think I'm going to be making many different dishes by using this new paste. So exciting. Donabe cooking class report…"Power of Koji"
Donabe Onigiri Workshop for Family! Donabe steamer for Induction cooktop?